No one likes paying taxes, but property taxes can be a real sore subject. On one hand, property taxes are essential to a city because they fund things like public education, transportation, and emergency help from police and firefighters -- all undoubtedly important to a city and it’s people. On the other hand, property taxes are based on the needs of a county. In a recession, those budget needs can go up even though the economy is going down. Making up for those financial losses often means a hike in property taxes, even when property values have dropped. It can be heavy reading, but if you’re just getting to know property taxes, or you want to better understand them, this will give you a head start. According to National Taxpayer’s Union, 30-60% of property may valued higher than what it’s actually worth. Because of market fluctuations and the variance in assessing property market value, there’s too much wiggle room for value assessment. In addition, there are a variety of factors that impact a property’s value, and those factors can fluctuate every single year. Make sure your estimated property value is on point with it’s true market value by finding out how the county assessor’s office calculates property value. You can also request a copy of your property’s assessment report to ensure that the information their values are based on is true and correct. If you don’t agree with the assessment, appeal it immediately as there’s sure to be a deadline to dispute it. It would be great if there was one single and simple approach to appraisal, but there isn’t. The process of appraising real estate will be specific to your county and the factors they use to determine property value. In addition, county appraisals will likely be performed by a county appraisal district. If your tax rate seems high, take a look at what similar homes sell for in your area. Should you find that your assessed property value doesn’t match up with the real estate market, you may want to get a professional appraisal from an assessment office that’s licensed by the National Association of Independent Fee Appraisers or by the American Society of Appraisers. It will cost a few hundred dollars, but -- if the county appraisal office allows outside appraisals -- it could mean a cut in your property tax. Homeowners with home equity loans or those who have recently financed may actually qualify for a free value assessment. Most property tax exemptions aren’t automatic, so this one is especially worth your research. 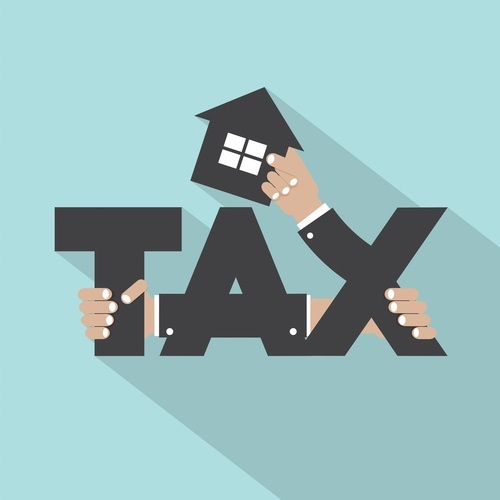 The five most common property tax exemptions apply to seniors, veterans, renovations, “green” improvements, and property value (homestead exemptions). They could include certain qualifiers like age, income, home value, type of energy-efficiency system, military discharge status, and so on. There may be other exemptions available specific to your state or county, so head into the local tax assessor’s office to see what you may qualify for. As helpful as property taxes are to local government and a city’s people, it can be a hard bill to pay. As one of the leading property tax lenders in the state of Texas, we meet many people struggling to pull it off. If you need help paying your property taxes, contact us to see if a property tax loan can help you.